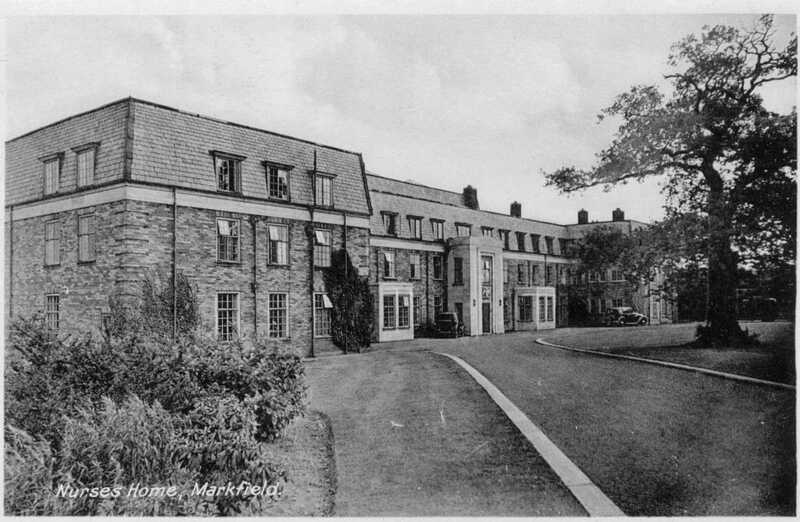 The County Sanatorium and Isolation Hospital (the "Markfield Hospital") on Ratby Lane was opened in September 1932 by Sir George Newman, the Chief Medical Officer to the Ministry of Health. The Nurses Home is pictured left. It had 203 beds in six wards, with isolation for fever patients and a sanatorium for patients with tuberculosis (TB). Fever patients were usually children, with fevers including diphtheria, scarlet fever, typhoid, smallpox and meningitis. Those with TB were mostly between aged 17 and 26 or were older people. Men and women were strictly segregated. 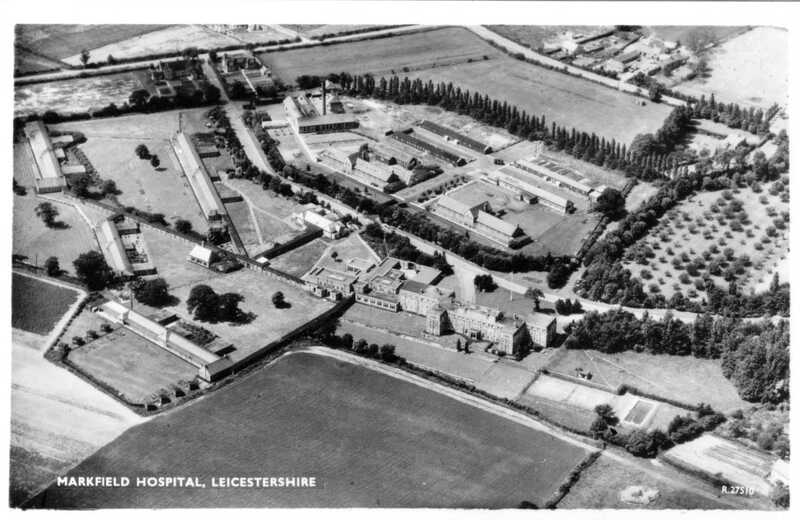 As well as the wards, there was a chapel, two mortuaries, a laundry, a swimming pool and tennis courts. Huts were also used to house patients with TB and diphtheria, which were burnt after use and replaced by new ones. The hospital radio was called "Sangram" and the Markfield Dramatic Society put on shows. Stays were often lengthy, with TB patients there for up to two years. This was before more effective medicines became available, with the main treatment for TB being lots of bed rest, good food grown on the hospital farm and fresh air - patients were exposed to the Markfield winter air and snow too! Medical treatment for TB included PAS, an unpleasant medicine taken four times daily, streptomycin injections and air treatment for the lungs. Visits were allowed for two hours only on Saturdays, Sundays and Wednesdays. Fever patients were separated from visitors by glass screens, so parents and children had to communicate as best they could. Visitors travelling by bus had to walk from the A50 Fieldhead junction. However letters were the main way of keeping in touch for most patients. Cyril Pamphilon was a TB patient in 1940, and some of his letters were published in 2018. He writes about the benefits of the Markfield air and countryside, being in a cubicle and then moving to a hut which made him feel quite cut off from the ward, being allowed to go for increasingly longer walks, attending the church and attempting to avoid the whist drives (a card game popular at the time) organised for all the patients. Around 100 staff were employed, including doctors, nurses, gardeners, laundry, cooks and kitchen, cleaners, farm hands, maintenance, administrative and secretarial staff. 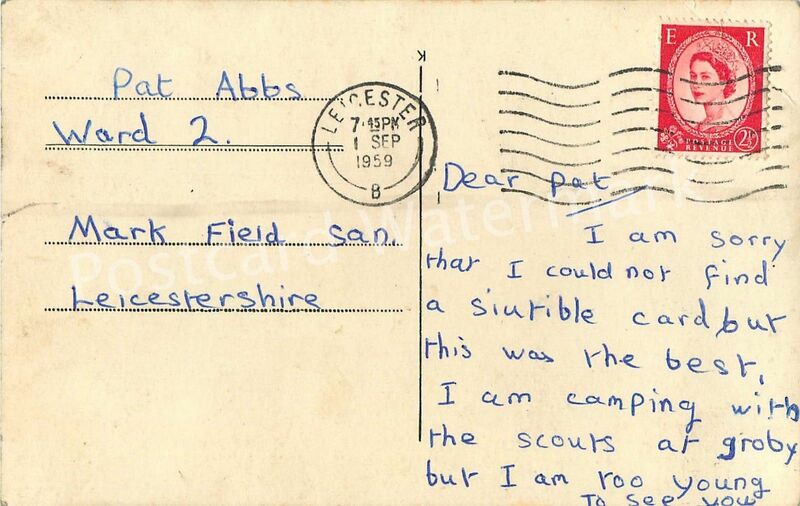 Whilst many were local, a number of nationalities were represented including people "displaced" from their homeland in the Second World War (there was a camp for displaced persons in Ratby Lane). In 1948 the new NHS took over the hospital. The streptomycin injections led to a cure for TB and together with the effect of other medical developments on TB and fevers, new uses for the hospital had to be found. These included an old fever ward re-opened to care for older people in 1959. By 1982, the hospital catered for long-stay chest cases, minor operations, geriatrics and convalescents, with TB and fever being very rare. Its future was in doubt, and by 1985 the hospital had closed and the site sold. Part of the site became the Regional Ambulance Training Centre, which had a short life as it in turn closed and was bought by the Islamic Foundation in 1990. The Nurses' Home became the Markfield Court Nursing and Residential Home, which itself closed in 2017. It is currently being renovated for a new future use. 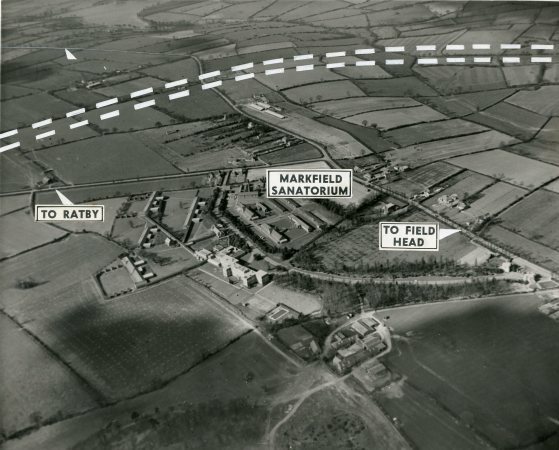 The remainder of the site became the Markfield Retirement Village. This award winning village was purpose designed and built in 1986 for the over 55’s, and consists of 89 bungalows and 34 flats. 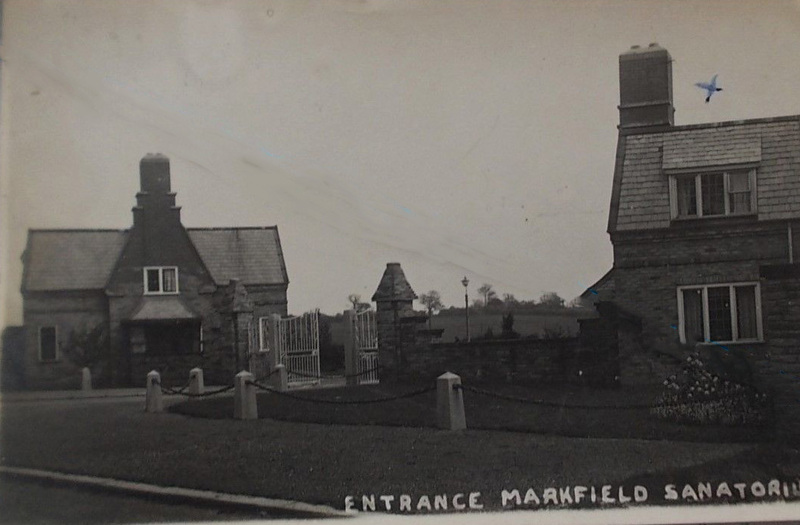 The main source for this article is the booklet "Memories of Markfield Hospital" produced by the Markfield Local History Group in 2006. The main entrance off Ratby Lane - the gates are no more, although the houses and pillars remain!